These are times of a symbolic resurrection of Mary Magdalene, as, despite all the vilification she has experienced at the hands of institutionalised religions, fascination with her as the archetype of the fully developed Divine Feminine increases daily. Recently even National Geographic (for those who like to refer to mainstream media) made a documentary about a skull venerated by the split French Christian group persecuted as heretics (the Cathars), asserting it is the skull of Mary Magdalene. Scientists made 3D images of how her face might have looked; this was a very moving moment for many people around the world – to see an equivalent of the shroud of Turin but for Jesus’ companion and female disciple Mary Magdalene. 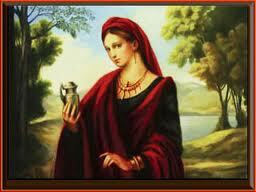 There are many fascinating alternative theories regarding the different possible lives of Mary Magdalene. As promised, I will investigate them and share them with you. However, they have all been written by people who came along centuries after her, who have been fascinated by her unique story. Today, I would like to return to the very source of this all – the actual Gospel of Mary Magdalene – and ask a very simple question: What is really in the Gospel of Mary Magdalene? Or What does that Gospel say? I think you will find its content enlightening and fascinating. This could also give a glimpse of understanding as to why this Gospel was not included in the Canonical Bible. Before we move to the content of the Gospel of Mary Magdalene, I would like to remind you of how we know about this at all, and to clear up some misunderstandings. 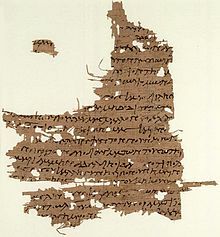 The modern discovery of the Gospel of Mary Magdalene occurred in 1896 when British adventurer found the document in Egypt and ‘was left to the care of the Berlin Museum’. The scroll of the Gospel was not translated until 1955 – and that translation was very literal and made little sense. This often happens when a symbolic or esoteric text is translated by a linguist with no understanding of the subject of the translation. It took many more years before readable translations were finally available, with the best of them (in my opinion) made by French scholar Jean-Yves Leloup, which in turn was translated from French into English. Parts of the Gospel of Mary Magdalene are missing and thus the translation is incomplete – but it is revealing and wonderful nevertheless. The text of the Gospel starts with page seven, as the first six pages are missing. The translation begins with Peter asking The Teacher questions; The Teacher finishes each answer in the same way as he does in the Gospel of Thomas, saying, ‘Those who have ears, let them hear,’ which was, as far as we know, the manner in which Yeshua/Jesus spoke. Now, for anyone brought up in any Abrahamic tradition – and in my case as a Catholic – this is the discovery of a lifetime and Jesus’ answer goes directly against the teachings of institutionalised religions of the West. Ladies and gentlemen, I repeat: There is no sin! That is not the end of it. The Teacher then explains that the suffering we experience is due to our own actions, as we surrender to our conditioned, habitual behaviour, often based on our lower (or corrupted) nature. We do have a choice, however, of not acting on our lower instincts and acting instead according to our higher nature, which can reunite with our Source ( or the ‘roots’) of our Being. This reminds me a great deal of the teaching of karma – not as a fatalistic preordination of your destiny but as the wisdom of Choice on our part. The message here is that we can choose. We don’t have to become victims of our lower tendencies. We can start acting form our higher Selves instead. In the same manner, on page eight of the Gospel text Yeshua/Jesus explains the importance of balance in our lives and in living in harmony with our ‘true nature’ and allowing ‘true peace to arise in us’. How do we do this? We do this by not listening to people or other forces in our lives that point to things outside of ourselves for fulfilment – because we can never find true fulfilment outside of ourselves. We can only find fulfilment within ourselves (‘For it dwells … within you.’). I find this passage very relevant to these times, when we are daily and constantly brainwashed by mainstream media with news and, even worse, reality shows that are based solely on superficial externalities that take us away from the true meaning of our lives, want us to focus on the banalities and remain in constant fear of some disaster. Then The Teacher says that he did not come to impose any laws upon us – so we would not become ‘bound by them’. 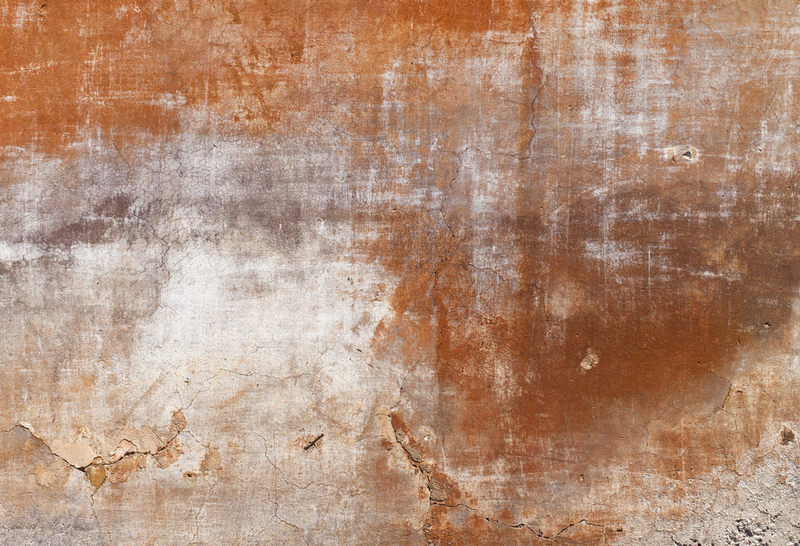 If finding the inner connection with the Divine in our own Selves is the spiritual goal of our lives, we are not going to find it through blind obedience. Spiritual growth requires exploration, asks us to ask difficult questions because this is the only way to a connection to the Truth – through our own investigations and by not listening to what others are telling us, especially institution-based others who might have their own agendas for keeping us ignorant of the Truth. The second part of the Gospel of Mary Magdalene describes the classic Gnostic conflict between Mary Magdalene and Peter (who for Gnostics represents the hierarchical structure of the Church ignorant of the true teachings of Yeshua/Jesus). At first, on page 10, Peter says to Mary Magdalene, ‘Sister, we know that The Teacher loved you differently than other women.’ Then he asks Mary Magdalene to tell the other disciples what The Teacher shared with her but not with them. At this point Mary Magdalene confers to the disciples Yeshua/Jesus’ teachings on the Ascension of the Soul, which He had given her in a vision. The teaching of the Ascension of the Soul describes the stripping back of different elements of destructive habits, such a jealousy, ignorance, etc., until the soul, liberated from all of them, reaches the ‘Eternity of Time’. His rant is interrupted by Levi, who tells Peter to not to be so hot-tempered because the Teacher ‘held her worthy’ and ‘knew ‘her well’ because ‘he loved her more than us’. The Gospel of Mary Magdalene is still revolutionary and at the same time it speaks the Truth to us about our own spiritual empowerment, about seeking the Divine within, not outside. The Gospel warns us against surrender to the empty worship of external distractions and the powers that be. And, I think, it is an especially beautiful timeless reminder about our inner lives, especially in these modern times of rampant materialism and what Carl Jung called the ‘living dead’ – the masses of people (e.g. us) who, through institutionalised brainwashing, forget their true inner glory in the midst of material trappings and the banality of the mainstream media. We are told that we are created in the image of God yet are asked to give away our freedom and thinking on a daily basis. 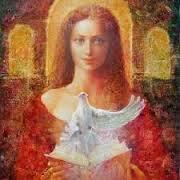 The Gospel of Mary Magdalene is a beautiful call for us to wake up and discover inner glory. This entry was posted in Goddess News and tagged Dr Joanna Kujawa, Gnosis, Gnsotic Gospels, Gnsotics, gospel of mary magdalene, gospel of Philip, Gospel of Thomas, mary magdalene, spiritual, spiritual blog, spiritual blogger, women and spirituality. Bookmark the permalink. 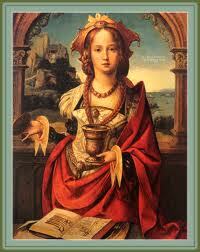 8 Responses to What is the Gospel of Mary Magdalene really about? Leloup’s translation and comments are really great( he comes to Brazil often and has many of his books translated here ) .And you summed it up very well , Joanna 🙂 Thanks ! Truly beautiful! I have been enjoying your online essays, Joanna, ever since you were interviewed on Aeon Byte by Miguel Connor, and this is one of your best. Thanks for all your illuminating and liberating work. “We do have a choice, however, of not acting on our lower instincts and acting instead according to our higher nature, which can reunite with our Source ( or the ‘roots’) of our Being.” — this is NOT about karma. This is about Platonic realism: we live in a shadow-world which is an unclear reflection of the true reality, our perishable bodily existences are weak reflections of our true intellectual natures — our heavenly twins are our eternal true existences, the patterns from whom we are formed. We may attain an eternal life by acting form our “higher Selves” which are the objective, intellectual selves. This “karma” reasoning is just one of the theosophical anachronistic superpositions that don’t explain, but rather confuse. Thank you Tomas. I agree. Absolutely. That is why it is so different from the ‘deemed to be a sinner’ paradigm as it is up to us and our choices. We can choose and with that choice we have the power to evolve.